The First Data FD35 device goes beyond the simple PIN pad. 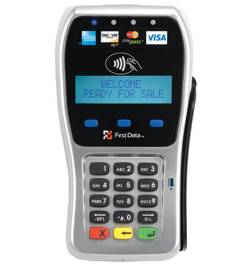 This comprehensive, consumer-facing device not only accepts PIN-based debit transactions and swipes traditional payment cards, it is enabled to accept chip-and-PIN cards (aka EMV), which allow customers to initiate and process their own transactions without relinquishing control of their cards. It also enables contactless transactions, as well as mobile phone payments that include the ability for merchants to drive loyalty and repeat business by generating and redeeming special offers via consumers' mobile phones. 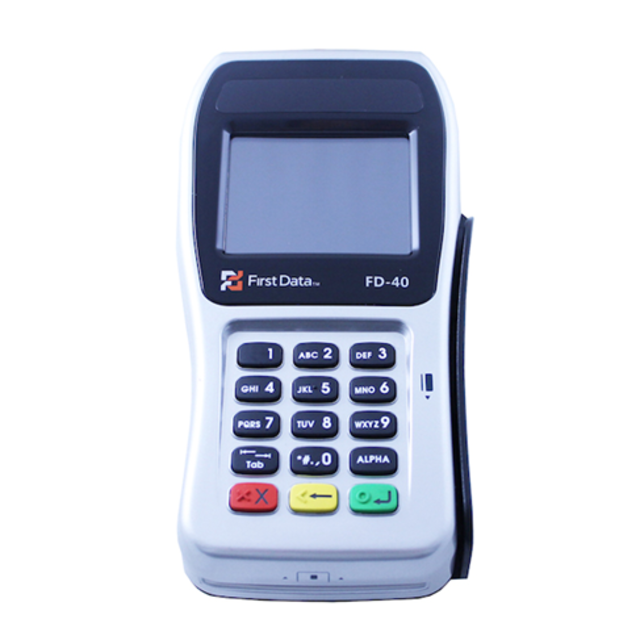 You can simply add this First Data FD40 PIN Pad to be used with your new Clover Station or use it as a standalone system and start accepting NFC payments such as ApplePay™ as soon as today. So don’t delay, get started today! This is a PCI 3.1 USB PIN Pad ready for ApplePay™, NFC and EMV.